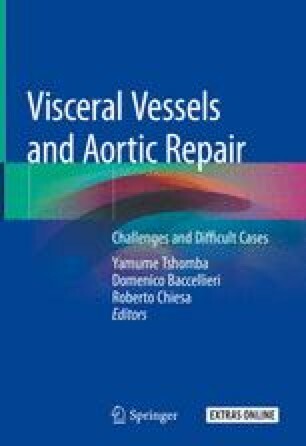 One of the crucial steps during thoracoabdominal aortic aneurysm open repair is the management of the visceral and renal vessels. Different techniques are available to obtain the same revascularization, but they vary in a few details and can have different indications and outcomes. Historically, the first proposed was the inclusion technique that consists in direct reimplantation of the origin of the celiac trunk, superior mesenteric artery, and renal arteries onto the graft .